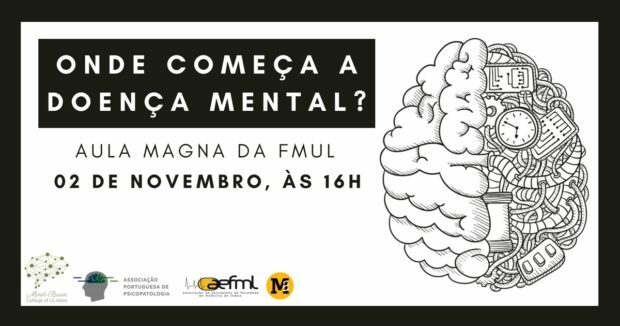 On 2 November, the Aula Magna of the Faculty of Medicine of the University of Lisbon was full of participants attending the conference “Where does mental illness begin?” promoted by the AEFML, in collaboration with the Portuguese Association of Psychopathology and the Department of Psychiatry of the FMUL. 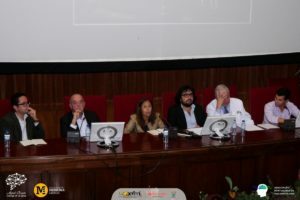 This conference, moderated by the student and former president of AEFML Rafael Inácio, had a panel of speakers from the most diverse areas, composed of Professors Daniel Sampaio and António Diogo Telles Correia from the field of Psychiatry; Ana Sebastião from the area of Neuropharmacology; António Vaz Carneiro from Internal Medicine and Dr Rui Martins from the area of Psychology. Professor António Diogo Telles Correia began the Conference with a talk on the historical contextualization of mental illness. 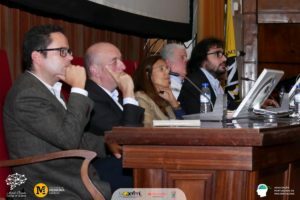 Professor Ana Sebastião stated that psychological illnesses are viewed by society in a different way, and she launched the question “is mental illness so different from other diseases?” into the debate. 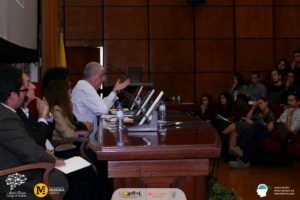 Professor António Vaz Carneiro mentioned that in psychological and psychiatric diseases the diagnosis must also follow a line of reasoning. The cognitive part has to be understood, i.e. knowing the signs and symptoms to later determine the causal effect between the factor and the disease. Professor Daniel Sampaio started his talk expressing satisfaction for the creation of the new Space S, underlining the importance of the existence of an Office for the Psychological Support of students in our Faculty. According to Daniel Sampaio, the great problem of psychiatry and mental health is the balanced relationship between our body and our feelings and emotions. It is urgent to end the stigma surrounding psychiatric patients. 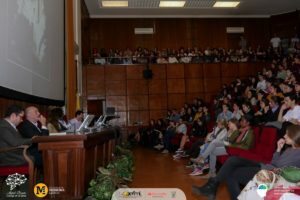 This ceremony ended with the intervention of Dr Rui Martins, the Psychologist in Space S at the service of our students, who began by presenting the Space, which is located in Room 71 of the Institute of Preventive Medicine and Public Health of FMUL and is open on Tuesday and Wednesday morning and on Thursday afternoon. A period of discussion followed, with questions posed by those present.